Come enjoy the sites of East Oahu. We will take you to the Kaiwi Shoreline where you will be able to go hiking at the Makapuu trail. 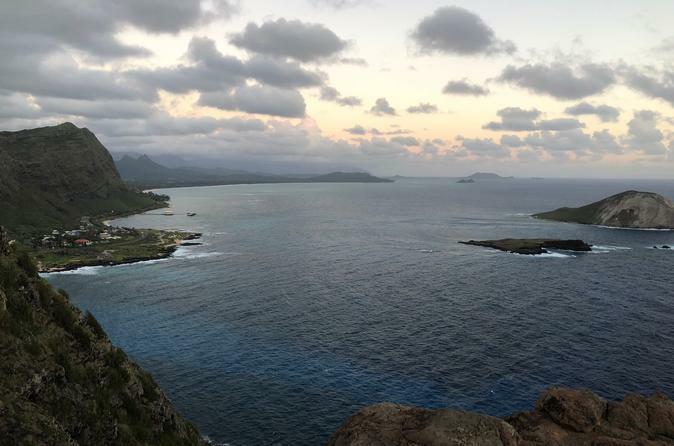 The Makapuu Trail is about a light 30 to 40 minute hike where you are see the beautiful blue Pacific Ocean. Once to get to the top, there is a lookout point where you can take gorgeous photos. After you finished your hike, we will take you to the Hanauma Bay Nature Preserve in which you will be able to snorkel at one of the best snorkeling spots on the island. Pickup will be from 6:50am to 7:30am depending on which hotel you are staying at. We will stop by our office located in Hawaii kai for a briefing and you will be able to store your things in our locker. After your briefing, we will take you to the Makapuu Trail in which you will start your hiking part of the tour. After you are done hiking, we will come pick you up and take you back to our office to get you set up for snorkeling at Hanauma Bay. (During this time, you may buy some food at the shopping center in which our shop in located in.) After we set you with your snorkel equipment, we will take you to Hanauma Bay for some snorkeling. (There is a $7.50 admission fee that is needed to enter that is not included in this package). After you are done snorkeling, we will pick you up from Hanauma Bay and return to our shop to return your gear and gather your things from the locker and return you to Waikiki.